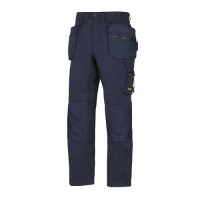 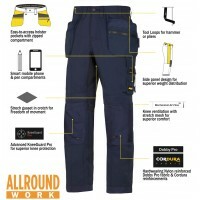 Snickers RuffWork Trousers are the perfect choice for anyone looking for an extra tough pair of workwear trousers. 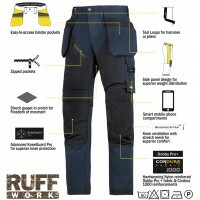 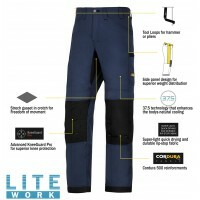 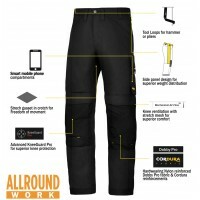 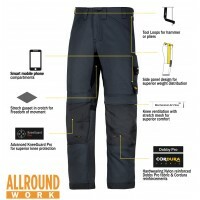 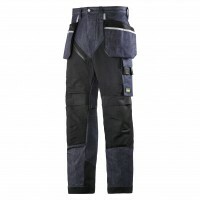 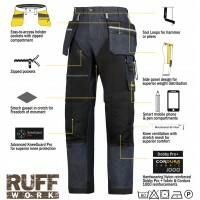 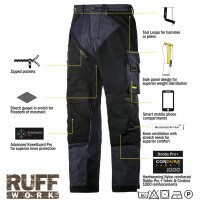 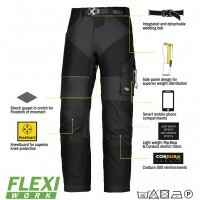 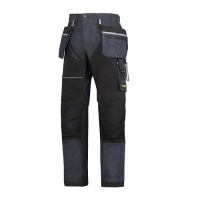 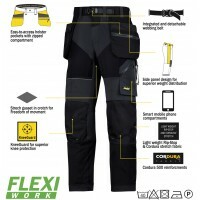 These heavy-duty trousers combine functionality and comfort to give you the best fit possible - each pair offers amazing ventilation and a stretch gusset for no restriction on movement, while the rip stop fabric ensures no rips or tears ruin you Snickers RuffWork Trousers. 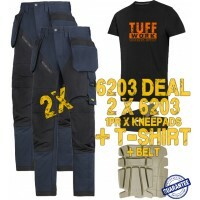 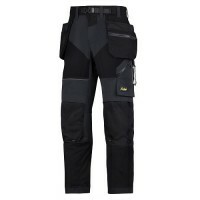 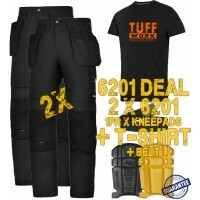 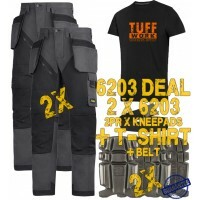 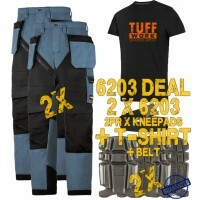 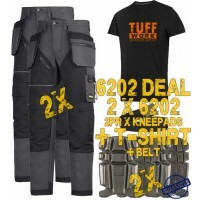 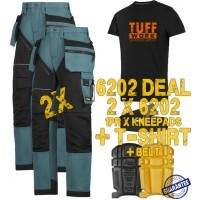 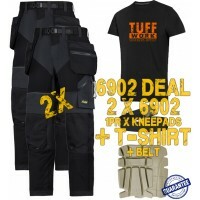 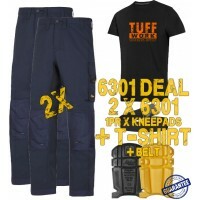 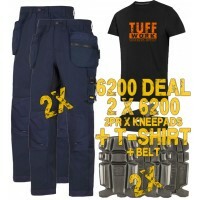 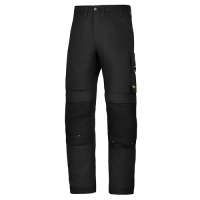 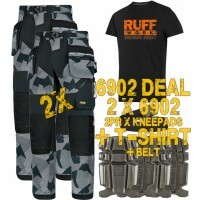 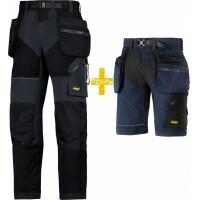 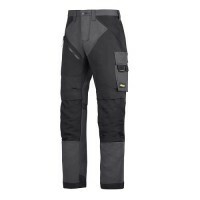 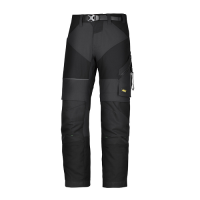 Snickers 2 x 6301 AllroundWork Trousers Plus SD T-Shirt & 1 x 9110 Knee Pads and PTD BeltModel K..